Digitizing Made Easy is for every embroidery machine user and commercial machine embroiderer looking to better understand and utilize digitizing software. The author's time-tested method, demonstrated in 250 step-by-step color photos will help you to better identify the tools of modern digitizing, and the best processes with which to use them. 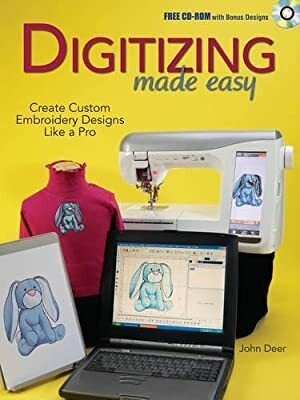 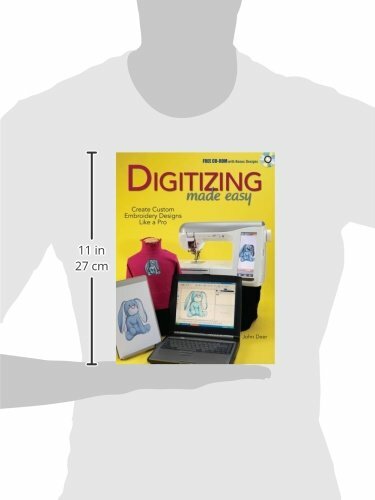 With chapters covering artwork, auto-digitizing, stitch types, mapping and sequencing, underlay and blending, readers will quickly develop a solid foundation with which to explore the endless possibilities of digitizing.